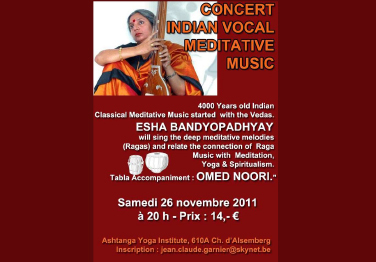 The last 20 years has found Esha Bandyopadhyay - an accomplished classical vocalist, based in Kolkata, performing in many prestigious music festivals in India. 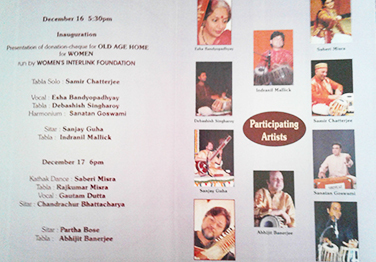 Reputed organizations including Sutanati Parishad, Salt Lake Music Conference, Government College of Fine Art & Crafts, ABC Academy (Varanasi), ICCR, Jhankar Music Circle, Sri Aurobindo Institute of Culture, Bhawanipur Sangeet Sammilani, Haldia Music Conference and others have featured Esha's vocal recitals,which have been appreciated by the critics and the audience. 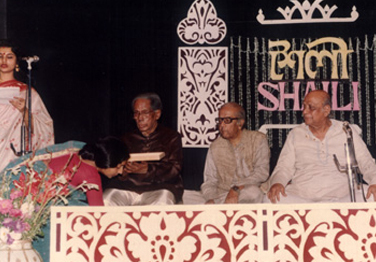 Esha had the opportunity of presenting a programme of Bhajans (devotional songs) on Kolkata (Calcutta) Television. 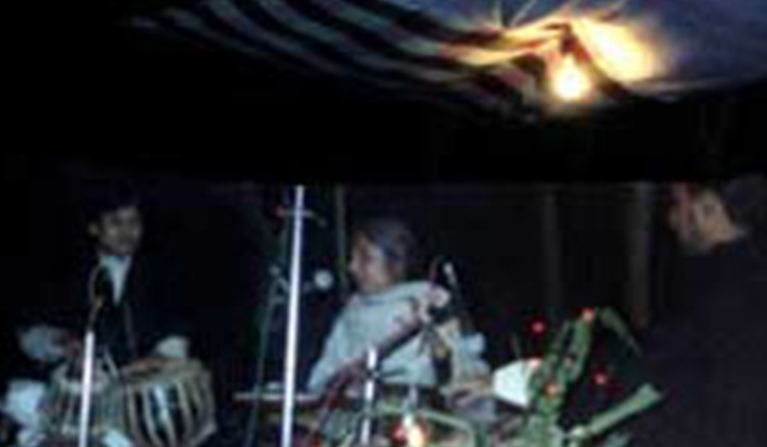 Esha's sterling performances in India paved way for her debut in the international music circuit in June 1999, when she was invited by the University of Toronto, Canada to sing on the occasion of Bangla Mela. 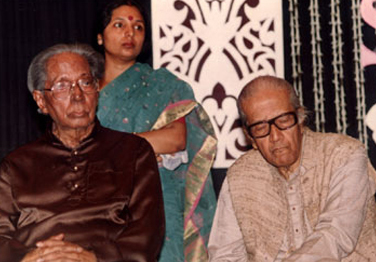 The hectic concert tour in Canada, which followed-featuring 16 concerts in two months-proved the growing popularity of North Indian classical vocal music in the western world. Since the success of the Canada tour in '99 Esha has been performing and doing workshops and lecture-demonstrations every year in the USA & Canada for leading Indian Organisations as well as renowned Universities. Esha's maiden concert in Europe was in Munich, Germany, in an international music festival. Her subsequent concert tours in Germany, Belgium, the Netherlands & UK every year have given her international recognition. A true professional, Esha is blessed with the art of striking an immediate rapport with her audience, worldwide. Esha has also performed in innumerable temples, religious institutions, Yoga and Meditation Centres. The depth of her voice and its serenity and resonance along with the clarity in pronunciation of the devotional compositions (Bhajans) bring dimension to the melodies and add to the ambience. Her short explanations and insight into the subject immediately establish a connection between music and discipline, practice, concentration and meditation— how musicality and spirituality become one. Her conception and delineation of this form of art has made Esha a successful teacher. 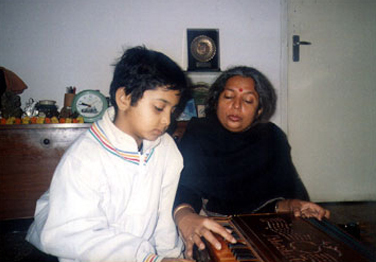 She has founded 'SHAILI', an academy of music and creative arts in Kolkata and also holds special classes and workshops for her students in Europe and America. 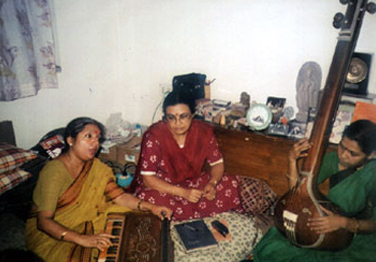 Music has been Esha's love, vocation and profession for many years. However, lately, her creativity has been trying to reach beyond, into another horizon, where exists the world of the underprivileged men, women and youngsters - aged people, orphans, the homeless, who have sometimes very little or no source of entertainment or inspiration. Esha is joined in her philanthropic pursuits by her husband - a musician, in this venture of taking their gift of music to the unfortunate. 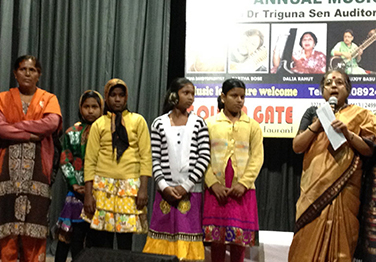 Spreading the language of music comes naturally to Esha - be it a group of villagers under the dusk-laden skies of rural India, the little girls of 'CHild Care Home', or the old ladies at 'Navaneer Old Age Home'. The look in their eyes and smile in their hearts are what carries her forward in her spiritual quest. Being initiated into classical music at a very tender age has always been a major component in my choice to live with music all my life. Growing up with music was an intense feeling. In my years of pursuit, it is with this intensity that I felt the urge to pass on this rich heritage, so that my lineage of Guru-Sishya Parampara would not cease after me. SHAILI was established in 1989, with the vision of planting the seeds of raga-raginis and nurturing the saplings, see them grow with the feel of a rich genre. Being able to sing is fun--realizing the melodious sound waves in the body is spiritual; but the learning process is lengthy and arduous. SHAILI's mission is to lead to the path of music, bring a ray of light if there be a patch of darkness on the way. The road is long and many would traverse. But all students of this academy would be enriched with a sense of musicality and the ability to sing, play instruments and enjoy the magic of rhythms. With music in their stride, on each step they would bless other lives, often of those who are born not so privileged. 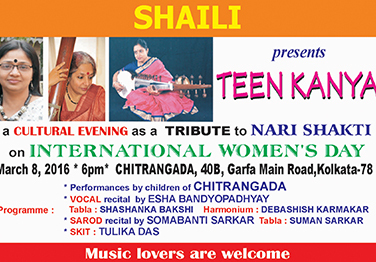 Komal Gandhar - In Aid of NIJOLOY-Home for Girls.